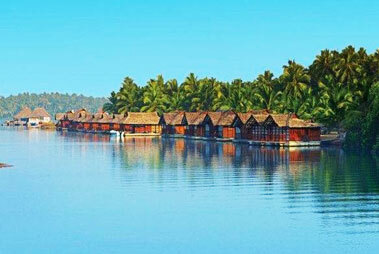 Located in the Thiruvananthapuram district of Kerala, Poovar is a beautiful small coastal village. This village is placed roundabout at the southern tip of Trivandrum. After Poovar, there is another village named Pozhiyoor that marks the end of the South Indian state of Kerala. This beautiful village has a pristine beach on one side and the tranquil backwaters on the other. Poovar has been blessed with a lot of natural beauty in abundance. Trivandrum International Airport, Thiruvananthapuram is the nearest international airport from Poovar. It is just an hour away from the airport. Trivandrum airport is well- connected to most of the important cities of India. Thiruvananthapuram Railway Station is the nearest railway station from Poovar, which is 27 km away. This railway station is well -connected to most of the major cities of the country. State-run and private bus service is available from Poovar from destinations like Trivandrum, Kollam, Tirunelveli, Kochi, Thrissur, Madurai etc.